Good on Prime Minister John Key going into bat for farmers amid more claims made by Labour that the agriculture sector is not paying its fair share. Labour says it will now bring agriculture into the Emissions Trading Scheme (ETS) in 2013 to fund its $800 million research and development tax credit announced at the weekend. Labour leader Phil Goff claims the exclusion of agriculture from the scheme was “distorting the economy”. This comes after the party last week released ‘figures’ claiming the average dairy farmer is paying less tax than a couple on the pension and raised questions about whether the agriculture sector is paying its way. However, Key has rejected this comparison saying the Labour figures were based on turnover rather than profit, which all businesses were taxed on. This is absolutely correct. “It’s all designed to discredit the farmers of New Zealand.” Nicolson says Labour should wake up and realise the role farming played in the economy. Labour appears to be sticking to its guns on targeting farmers with its agriculture spokesman Damien O’Connor continuing to run the partly line about farmers not paying their share. He claims that under National’s proposal taxpayers will effectively subsidise farmers’ emissions for two more years. Labour believes it’d be better for the money used to subsidise agriculture’s contribution to the ETS spent on research and development. However, Federated Farmers say Labour’s plan will cost $47,000 per farm and could drive beef and sheep farmers out of business. The is no doubt bringing agriculture into the ETS will raise the costs of milk, butter and cheese for everyone because they would pass the costs on, as the PM has said (and will also happen if National bring farming in to the ETS in 2015). Under National, agriculture is due to come into the ETS in 2015, but the PM has indicated that a re-elected National government could push that date out further. Key said farmers already paid a share of the ETS costs because they were big users of petrol, diesel and power. He added that it was more difficult for farmers to mitigate their carbon emissions. O’Connor is defending the indefensible. Labour’s attacks on agriculture are petty, envious and using this strategy to drive a wedge between town and country. The last time Damien O’Connor said something remotely sensible was when he labelled the Labour Party a “gaggle of gays and self-serving unionists”. However, showing all the spine of a jellyfish – as he currently is in regards to Labour’s attacks on the agriculture sector – O’Connor soon backed away from these comments when the gaggle in caucus put the heat on him. Let’s hope his cowardly loyalty to Labour is rewarded the same as it was in 2008 when voters turfed him out of office. Apparently the world did not come to a spectacular end on 21 May 2011 as an unheard of American preacher had predicted it would. According to Harold Camping, an 89-yearold evangelical broadcaster for Family Radio Worldwide, the big news for Judgment Day – other than a series of killer earthquakes— was going to be “the Rapture,” a supernatural event featuring “the mother of all heavenly jet streams catapulting Christians by the millions into the stratosphere to meet Jesus”. He also predicted that some people (non Christians I assume) would be left alive on Earth and “experience 153 days of torment”. Unbelievably, Camping’s prediction – broadcast to tens of thousands around the world prior to the big day – actually saw some people giving up their jobs and euthanizing their pets in preparation for the mass exodus to heaven. There’s nought as queer as folk! However, after awakening to find the earth still in one piece and that the world’s population intact on May 22, it was evident that the good preacher’s prophecy was about as accurate as your average long-range weather forecast or Treasury’s economic growth predictions. 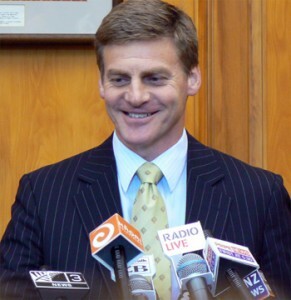 Speaking of which – according to the Labour Party, unions, as well as a list of other nut jobs, whingers and moaners – Armageddon didn’t happen on May 21 either, but actually occurred two days earlier on 19 May 2011 when Finance Minister Bill English arose in Parliament to present this year’s Budget! English had some pretty sobering news for the country. A $16.7 billion deficit meant some cuts will be made to things like KiwiSaver, Working for Families, the public service and the student loans schemes. He also forecast that there will be partial sales of some state assets to raise funds to pay off the huge mountain of debt New Zealand now faces. However listening to the moral outrage and doomsday predictions that came from Labour after the Budget was delivered you would have been forgiven for thinking that English had eaten a number of freshly born babies – rather than the rather unremarkable and austere plan he unveiled. Goff and Cunliffe’s hysterics over the Budget made Pastor Camping’s crazy end of the world prediction look quite rationale in comparison. While Goff and co were both full of ‘the-end-is-nigh’ rhetoric, they were remarkably short on any proposals to bring the books back into black. Despite these most dire post-Budget predictions, I awoke on May 20 to discover that the sun still rose, the birds still sang and life continued to carry on as per normal. I was reminded of the comments made by NZ Sceptics’ Vicky Hyde following the failure of rev Camping’s Rapture to eventuate. “These sorts of things play of people’s fears a great deal and we’ve seen a great deal of harm,” she opined. “Every year we see predictions that the world will end one way or another. 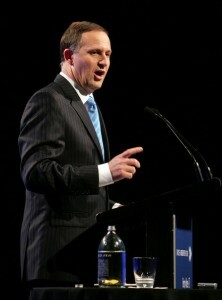 Messrs Goff, Cunliffe et el should take note of the redoubtable Hyde’s views before crying wolf anymore over the Budget! Politics is a dirty game and this year’s election looks as though it is going to be dirtier than usual. Now farmers have been unfairly drawn into the firing line. It appears that part of Labour’s election strategy this year is to portray dairy farmers as ‘rich pricks’ and tax evaders. This comes after recent ‘revelations’ by Labour’s revenue spokesman Stuart Nash claiming that the average dairy farmer only pays $1506 a year in tax, despite an annual Fonterra payout of over $500,000. Nash’s clear inference is that dairy farmers don’t pay enough tax and is a crude attempt to raise anger and envy among voters about the dairy sector, and the wider rural economy in general, and that it’s not paying its fair share tax compared to wage and salary earners. However, Nash has played the man and not the ball in this case. He is not comparing apples with apples, more like sour grapes with lemons. The dairy sector’s contribution to the nation’s tax take and economy needs to be put into perspective. PWC chairman and member of the tax working group John Sherwan points out that dairy farmers are subject to the same tax rules as all businesses. BusinessNZ says the comparisons are misleading because businesses have income structures that take into account the cost of doing business – a cost not borne by a salary earner. “Farm businesses face capital investment and depreciation servicing costs, debt costs, feed costs and labour costs, in the context of fluctuating cash flows often affected by weather, necessitating further debt for operating costs before receiving end of year payouts. Comparing the situation to an employed person on $50,000 income – who does not have to account for operating and business debt costs – is not a valid comparison. Maybe the Labour Party is not aware that when you’re in business you are legally allowed to write income off against expenses – providing they’re business related ones? Surely Nash and his Labour colleagues would be better off thanking the agriculture sector for its ongoing and important contribution to New Zealand’s economy – especially when we are borrowing $380 million a week to keep the country running – instead of taking cheap shots at dairy farmers. As Conor English of Federated Farmers says the primary sector is responsible for 66% of the country’s exports, and for each dollar earned overseas only 6c goes to the farmer with the other 94c spread throughout the wider New Zealand economy. A NZIER report – released in December last year – on the contribution of the dairy sector makes to the country’s economy proves just how out of touch Nash and Labour are with reality. It found that of the $7.5 billion of revenue received by farmers in 2009, $3.6b was spent on domestically produced goods such as fertiliser, feed and agricultural and financial services – all providing much-needed tax revenue. It also pointed out how the dairy sector provides 26% of New Zealand’s exports, employs 35,000 people directly and another 10,000 contractors – all paying tax funded by dairy farmers. 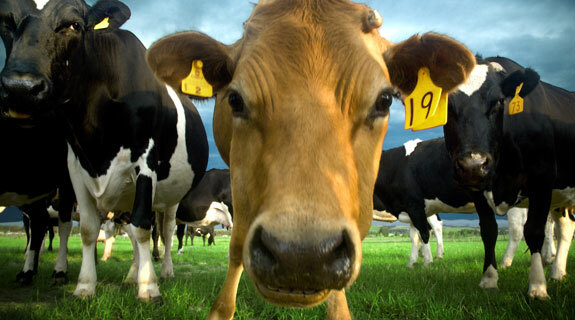 Meanwhile, DairyNZ says the average annual tax paid by dairy farmers during the last decade was actually $28,225 – somewhat higher than Nash’s $1500 claim! “Dairy businesses work under the exact same rules as all small businesses, and have to deal with considerable market volatility,” says Dairy NZ chief Tim Mackle. Meanwhile, Nash says Labour will investigate whether farmers in general were paying a fair tax share. Fair enough. I am sure the vast majority of farmers would agree to anyone avoiding or evading tax – including dairy producers – being punished accordingly. However, will Labour also be as keen to investigate state housing rorts, trade unions not paying taxes, eligibility around student loans, working for families, sickness benefits and the DPB as well? That is politics for you and some people have the cheek to claim that dairying is dirty! It was with a very heavy heart that I received your letter of 12 May 2011, resigning your membership of the National Party to take over the leadership of the ACT Party. Funny, how you only sent this letter to me – and publicly released it on May 12 – after actually officially securing the ACT Party leadership on April 30. It seems, Don, you can’t commit to anything long-term – just ask Mrs Brash no.1 and no. 2 – so no surprises on that front.You also express mounting dismay at the performance of my Government and mention your ambition to staunch the flow of our best young minds to more successful countries. Again Don, somewhat ironic. How can you bang on about keeping the best young minds when you and your fellow septuagenarian Roger Douglas have just purged the ACT of the relatively young at heart Rodney Hide as leader? In your letter, you pose a number of questions. Let me try and answer these. Why are you continuing Labour’s wasteful spending? Simple answer Don – votes. As a former banker (and not with a silent w) Don, I thought you would be able to count. The fact is the policies you and ACT promote garner between 1-5% support, while my Government is sitting on an average of about 48%. Do the math, Donny boy! Why are you stopping young people from working? You also claim that in Opposition National opposed getting rid of the minimum youth wage, but in Government voted against a bill to bring back youth rates. You accuse me of depriving another 12,000 young people of the chance to get a foot on the job ladder. Don, that is not fair. National is an equal opportunities party and you will find that under our watch it is not just young people who have lost their jobs, but people of all ages, races, colours and creeds. Why did you change your position so completely on the Emissions Trading Scheme? You also claim that in Opposition both you and I hammered Labour for seeking to be world leaders in combating greenhouse gas emissions. We argued on behalf of our farmers – the lifeblood of this nation – that instead we should be fast followers. Don, my position on the ETS has always been flexible – depending what our latest polling information says. Meanwhile, I suggest the introduction of the ETS shows I am being a fast follower on this issue and fast following what the polls say. Votes, Don, votes – that is what it is all about. Why are you ignoring reality on superannuation? You say how you’ve argued for the need to raise the age of eligibility for New Zealand Superannuation, so that it will still be there when people need it. Good on you Don. You are definitely walking the talk. 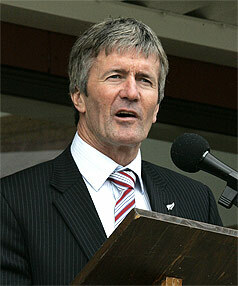 By knifing Rodney and taking over the leadership of ACT at the age 70 shows that you are far from retiring – or shy! You also criticise my promise to resign as Prime Minister rather than put up the pension age, claiming this is irresponsible and what New Zealand First voters voted for not National voters. Is there any truth to the rumours Don that both you and Roger Douglas will be doing the rounds of the nation’s rest homes, in the lead up to the election, canvassing the youth vote for ACT? I am not sure Winston Peters will not be too happy with you invading his turf and trying to surf the silver Tsunami to electoral victory! Why are you widening, not closing, the Transtasman wage gap? Your letter also says that you have grave concerns about the widening wage gap between New Zealand and Australia. There is an easy answer to this problem Don. Just jump on a plane – along with thousands of other Kiwis who bugger off each month to the lucky country – and this gap will be gone (by lunchtime, no less!). Finally, you sign off your turgid, bile-ridden rant with the claim: “Nobody voted for that – certainly not National voters”. Sorry Don, but I think it is more correct to say: “Nobody voted for ACT”. Or at least bugger all did, and I don’t fancy your chances – especially with the extremist polices you are now espousing – of gaining many more votes this year. PS I look forward to our coalition negotiations later on in the year. The Commerce Commission is expected to release the findings of its investigation into pricing of milk on the local market within the next month or so. 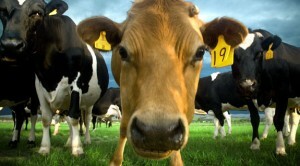 Its investigation will not lead to any inquiry into the domestic milk prices and nor should it. 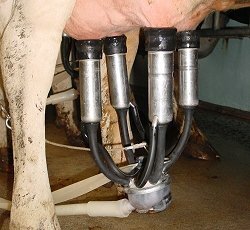 Unfortunately, this whole ‘milk probe’ saga has been a bit of beat-up from day one. It’s been fanned and promoted by the likes of Consumer NZ and various media outlets. Consumer NZ says it backs calls for an inquiry because 91% of respondents to a survey it conducted think they are paying a high price for milk. That result is hardly surprising. Any ‘survey’ of consumers asked if they’re paying too much for something would say they are. But that is no reason to hold an inquiry. There is little doubt milk price increases are making life tough for local consumers. But the problem is straight forward – it’s just a reflection of international markets. However, the proponents for a price inquiry have not let too many facts get in the way of their story. They have consistently either failed – or refused – to accept the rise in domestic retail prices is linked to global markets paying near-record prices. Perhaps these whingers – as Paul Henry would say – should start a group, or even set up their own Facebook page. The reality is milk in New Zealand is actually cheap and represents good value for money. It currently retails from between $2.10 to $2.40 a litre and is packed with vitamins and minerals including: calcium; phosphorus; magnesium; zinc; Vitamin A and B12, to name but a few. All those concerned about milk prices should pay a visit to a health food store or pharmacy and see how much this lot would set them back – before complaining about the value of milk! These same consumers should also look at what they’re actually putting in their shopping trolleys – before blaming Fonterra, dairy farmers and/or supermarkets for their growing budgetary problems. A recent MAF report, on domestic milk pricing, found average weekly household spending on fresh milk in the year to June 2010 was $5, compared with $4.60 in the year ending June 2007. Meanwhile, “for comparison”, the same report found that – during this same period – the average spent on soft drinks went up from $2.70 to $3.30 a week. Despite the somewhat peculiar comparison – of unhealthy, sugar-laden soda water with very healthy, mineral-rich milk – the fact is New Zealand shoppers have happily shelled out more for increases in soft drink than milk. Yet we have not heard any consumer lobby-led outcry into Coca Cola’s pricing policy. Unfortunately, claims about over-priced milk on the domestic market were swirling around for a month or two before Fonterra actually decided to front-foot the issue. This left a vacuum that self-serving politicians and media types happily filled with misinformation and baseless claims about milk prices. Somewhat belatedly, the diary giant rolled out its outgoing chief executive Andrew Ferrier to fight the good fight. His explanation was simple, but effective. And dairy products are very hot right now. So hot – in fact – that during March Fonterra recorded its highest ever month of exports with 229,000 tonnes shipped around the globe during the month and earning the country $1.2 billion in much-needed export earnings. That’s something all New Zealanders should be celebrating – especially when the country is borrowing $300 million a week to pay its bills! In the meantime, I note that petrol prices are at record levels. Perhaps all the potential fans of the ‘Subsidise Local Milk Prices Now’ Facebook page could insist the Commerce Commission to carry out an immediate investigation! Ever since Mark Zukerberg commercially launched his Harvard university project on the world back in 2004, businesses have been struggling with how they should handle the phenomenon formerly known as ‘The’ Facebook. 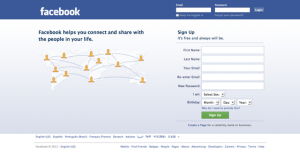 With more than 600 million users as of January 2011 – which, if Facebook was a country, would make it the third most populous on earth – means organisations can no longer afford to ignore it. As many corporate communication personnel around the globe can attest to; managing wall posts on an organisation’s Facebook page can be a troubling and frustrating job. Just ask the communications people at Nestlé, when Facebook users blasted the company for “censorship” after it planned to review its commenting policy. The way companies engage with the outside world on their Facebook page has become a crucial component of the PR professional’s job. An organisation’s response—or lack thereof—to wall posts can be downright detrimental to its brand. Complaints: Don’t make the mistake of replying to complaints selectively – many administrators and brand managers try to avoid the more controversial posts thinking it will be more diplomatic. Spreading positivity: Try to engage the happy posters so they reply in kind with more positivity, further populating people’s news feeds with goodness. Requests for Information: Think of these requests and your answers as a bonding exercise, a way to make the fan feel like he or she is a part of things upon receiving the answers. Guidance and advice: Be mindful of potential legal issues here. Make sure any answers to these questions protect your organisation from potential litigation. Diffusing frustration with technology: Anticipate likely technology challenges and prepare answers to questions ahead of time. Managing conversation threads: Don’t move too quickly that you make mistakes – especially when you will face a mix of positive and negative posts. Keeping a watch on negativity and swearing: Have a firm policy about what types of posts you don’t want to receive, place it prominently on your wall or page and implement it. If the conversation starts getting too heated, abusive or out of control disable the comments link. It will give people time to cool off and/or move on. Facebook is the fastest growing social platform in the world. Which means, even if your organisation decides not to use it for business purposes, it should at least have a good grasp of what it’s all about. Making your business communications stand out from the crowd and sending customers a message they’ll remember can be a real test. There’s a tendency, particularly in tough economic times, to try to be all things to all people. However, you will actually stand a better chance of getting and keeping customers if you focus on what you do best and explain how it benefits them. People are pickier than ever about whom they do business with, so you need to communicate your benefits if you want to stand out in the crowd. How do you describe who you are and what your business does for customers? Can you describe what you do to someone not in your industry in 30 seconds or less? Being crisp is about telling people what you do in as few words as possible–and using that same crisp message in written marketing materials. People need convincing as to why they should spend their limited dollars with you. Your story should focus on how your products or services benefit customers–written from a “what’s in it for them?” perspective. Once you’ve nailed down your crisp message, make sure you tell it consistently in all your communications. 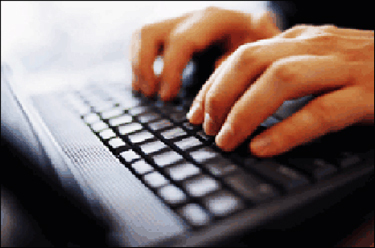 E-mails, on your website, in print materials, via the internet and in any other advertising and marketing media. Find a friend or relative who is the least likely to understand your business, and test your “message crispness” on them. Tell them what you do in two or three sentences. Avoid industry jargon and technical terms that only people in your field will understand. Then ask them to repeat what he thinks you do back to you. If he doesn’t come back with the right answer, the message isn’t crisp. If your grandmother can understand your description of your business you can convey that same clear, crisp explanation to your customers via e-mail marketing and other communications.